Being Human is Hard, Make it Easier!!! Sometimes being healthy isn’t as easy as we would all like it to be. These great health hack ideas will help you stay on a healthy track even when it isn’t the easiest thing to do. Everyone has to have some time to relax, these leisure hacks are a great way to help you relax during a stressful week or betters ways to help maximize your leisure time. 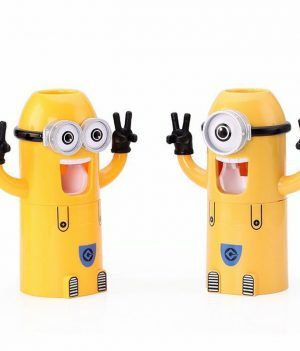 This collection of lifehacks is for everyone under the sun whether you’re a man, woman, child, teen or animal, you will find a product that will make your life easier! These tech hacks are a collection of ideas and random information to help you navigation the forever growing tech world. This things like social hacks, internet hacks, phone hacks, computer hacks and much more. These travel hacks will help you with some of the most annoying parts of travel; hacks for planes, trains, automobiles and much more. 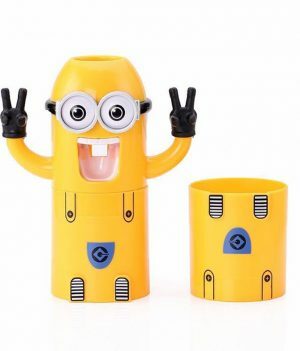 This minion toothbrush dispenser is a great life hack for parents that are looking for ways to encourage their kids to have fun while brushing their teeth.